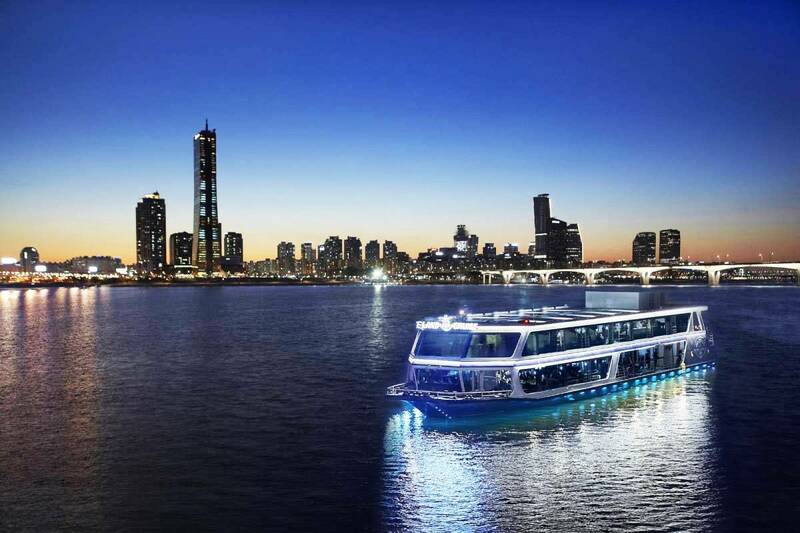 See the sights of Seoul by night ; Start with a ferry boarding for a scenic 1-hour Han river cruise, then ride to the observation deck at N Seoul Tower, an ideal place to view Seoul's cityscape. After pickup from your Seoul hotel, your evening begins with dinner at a popular local restaurant. Aftearwards, on the way back to your hotel, we will drive along the Han Riverside Road to see Seoul from a different view.